Concluding today, FWIW has been looking -- in alphabetical order -- at the 34 Cook County Associate Judge finalists. For Part 1, click here; for Part 2, scroll down or click here. 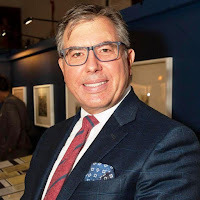 The immediate Past President of the Decalogue Society of Lawyers, Curtis Bennett Ross is a family law practitioner, practicing from the Loop Law Offices of Curtis Bennett Ross, LLC. Licensed as an attorney in Illinois since 1980, according to ARDC, Ross's firm website also notes that he is a Certified Public Accountant. Judge Robin D. Shoffner was unsuccessful in her bid to hold the 8th Subcircuit seat she now holds pursuant to Supreme Court appointment. She also sought a 5th Subcircuit vacancy in 2016. Before her first judicial appointment, in 2014, Shoffner was trial attorney for the Federal Civil Rights Division of the Corporation Counsel's Office. She also worked as Senior Litigation Counsel for Aon Risk Services, and with the law firm currently known as Albert, Whitehead, P.C. 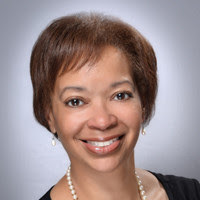 Shoffner is a former President of the Black Women Lawyers' Association and as a past board member of the Cook County Bar Association. She was licensed to practice law in Illinois in 1990. 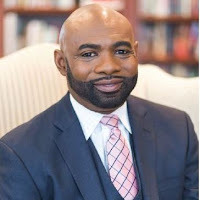 Levander Smith Jr. is an attorney with the Illinois Department of Children & Family Services. He has been licensed in Illinois since 1993. 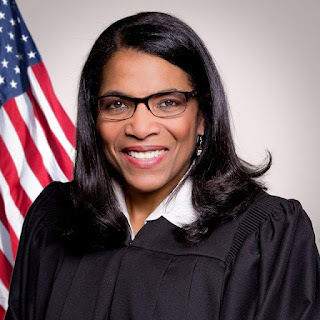 A fairly recent transfer to the Chicago area, Smith previously applied for an associate judgeship in far Downstate St. Clair County in 2013 and 2015. Trina Smith is an Attorney Supervisor with the Public Defender's Office. She has been licensed in Illinois since 1999. 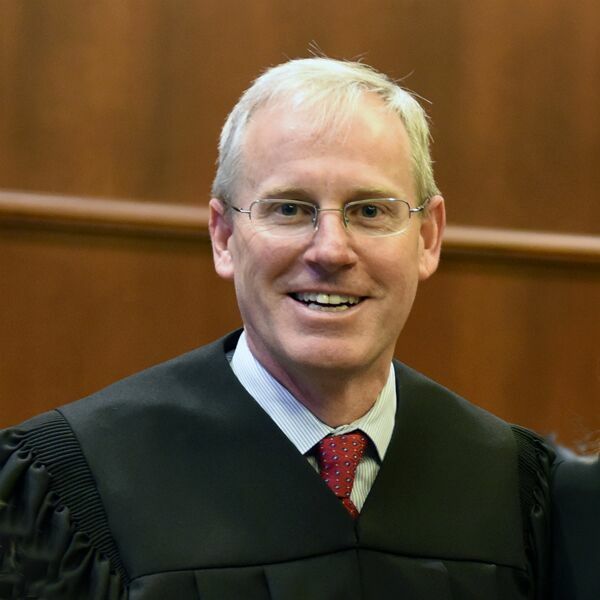 Judge Patrick Thomas Stanton was appointed to the Circuit Court in late 2016. He was unsuccessful in his bid to hold that 3rd Subcircuit seat in the March primary. Before his elevation to the bench, Stanton was a member of Dykema Gossett, serving as managing partner of the firm's Chicago office and head of Dykema's firm-wide Business Litigation practice group. Stanton has been licensed as an attorney in Illinois since 1993. He began his legal career with Jones Day, leaving that position to become a law clerk to U.S. District Court Judge George Marovich. After completing his clerkship, Stanton joined the firm of Schwartz Cooper, rising to partner in that firm and serving on its executive committee. He joined Dykema in 2008. Lisa M. Taylor practices with Schwartz Gilligan Ltd. She has been licensed in Illinois since 2001. She previously worked for Lewis Brisbois Bisgaard & Smith LLP. 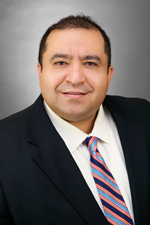 Daniel Alexander Trevino is a partner with Hinshaw Culbertson. 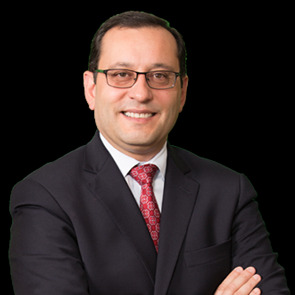 A former President of the Hispanic Lawyers Association of Illinois, Trevino's current practice focuses on products liability transportation litigation. He has been with Hinshaw since 1999, the year he received his license to practice law in Illinois. Trevino appeared before Democratic Party slatemakers last year, seeking endorsement for a countywide vacancy, but he was not a candidate in the March 2018 primary. 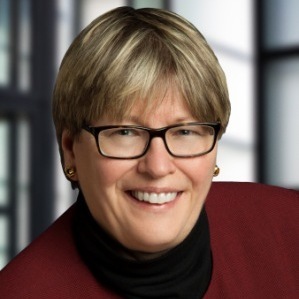 Lynn Karyl Weaver-Boyle is a partner in the Chicago office of Grotefeld Hoffmann Schleiter Gordon & Ochoa, LLP. Weaver-Boyle began her career as a Cook County Assistant State's Attorney, where she tried 50 felony cases. Her practice now focuses on large loss property subrogation, construction defects and product liability matters. She has been licensed in Illinois since 1990. Weaver-Boyle also sought the Democratic Party's endorsement this past year for a countywide vacancy, but did not run when an endorsement was not forthcoming. James Adolph Wright is Of Counsel to the firm of Chico & Nunes, P.C. Licensed as an attorney in Illinois since 1989, Wright has also served as Chief of Staff for the Chicago Board of Education, as Inspector General for the Illinois Toll Highway Authority, and as the Executive Inspector General ("EIG") for the Agencies, Board and Commissions under the Illinois Governor, (the Office of the Executive Inspector General, or "OEIG"). Wright obtained a CPA in 1981 and also holds an MBA. William Yu is counsel in the Chicago office of Ulmer & Berne LLP. He focuses his practice on class action litigation, products liability, construction, transportation, and professional liability. He was previously a Partner with Lewis Brisbois Bisgaard & Smith LLP and Hinshaw & Culbertson LLP. Licensed in Illinois since 1996, Yu began his career in the Municipal Prosecution Division of the City of Chicago’s Corporation Counsel. Yu is a past President of the Asian American Bar Association of Chicago. 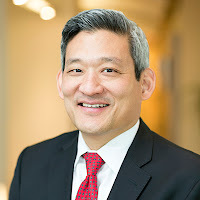 He has also served on the inaugural Executive Committee of the Alliance of Minority Bar Associations and is on the Advisory Board of the Korean American Bar Association of Chicago. Fourteen down, 20 to go. FWIW is looking---in alphabetical order---at the persons who have made the 2018 'Short List' for Cook County Associate Judge. Scroll down, or click here for part 1. The Illinois Supreme Court appointed Judge Myron Franklin Mackoff to an 8th Subcircuit vacancy in late 2016. He could not that seat in the March primary. 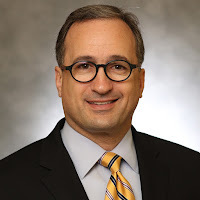 Mackoff, the son of longtime Circuit Court Judge Benjamin Mackoff, has been licensed as an attorney in Illinois since 1994. Following his graduation from Northwestern University School of Law, Mackoff worked for several years in the Illinois Attorney General's Environmental Law Division. In 2002, Mackoff left the AG's office to join Hubert, Fowler, & Quinn, later known as the Hubert Law Group. After Donald Hubert's death, in 2006, Mackoff was chosen to wind down the affairs of the firm. Mackoff and Travis Richardson, now also a Circuit Court judge, became law partners in 2007. Celestia Laurene Mays is a former President of the Cook County Bar Association. Licensed in Illinois since 1990, Mays practices law as Celestia L. Mays, P.C., with an office in Chicago's Loop. Mays filed for a 5th Subcircuit vacancy in the 2016 primary, but withdrew from the race. Judge Stephanie Kathryn Miller was appointed to a 6th Subcircuit vacancy in January 2017. She did not hold the seat in the March primary. Miller was licensed to practice law in Illinois in 1999. An Assistant State's Attorney at the time of her appointment to the bench, Miller has also worked as an Assistant Public Guardian. 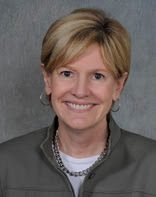 A member of the Board of the Lesbian and Gay Bar Association of Chicago and co-founder of the National LGBT Prosecutor’s Association, Miller has also served as the treasurer of the National Hispanic Prosecutor’s Association, and the LGBT committee chair for the Hispanic Lawyers’ Association of Illinois. After 19 years as a Cook County Assistant State's Attorney, Lisette Catherine Mojica recently joined the City of Chicago Law Department, where she now serves as a deputy supervisor and the City Prosecutor. Mojica supervises over 30 attorneys in the Legal Information & Prosecutions Division, which includes traffic prosecutions at the Daley Center, City ordinance violations at five municipal branch courts, administrative notices of violation prosecutions at the Department of Administrative Hearings, and Freedom of Information Act litigation in Chancery Court. She is active in HLAI, the PRBA, and regularly participates in Women Everywhere through the WBAI. Tisa Lynne Morris has been licensed to practice law in Illinois since 1991. A former Cook County Assistant State's Attorney, Morris was Chief Administrator of the Chicago Police Department's Office of Professional Standards from 2004 to 2007. After leaving OPS, Morris returned to the State's Attorney's Office, rising to Chief of the Juvenile Justice Bureau at the time of her departure earlier this year. Morris now is a sole practitioner. Margaret Mary Ogarek has been with the State's Attorney's Office since receiving her law license in 1999. She currently serves as a Wing Supervisor in the SAO's Felony Trial Division. From 2011 until earlier this year Ogarek was Deputy Supervisor in the Sexual Assault and Domestic Violence Division. Ogarek has served on the boards of several groups including the Coalition to Improve Prosecution of Criminal Sexual Assault and the National Internet Crimes Against Children Task Force (Legal Committee Co-Chair, FBI Working Group). Diane Marie Pezanoski is a Deputy Corporation Counsel with the City of Chicago in the Law - Aviation, Environmental, Regulatory and Contracts Workgroup. She has been licensed in Illinois since 1985. Leo Steven Rakowski is a partner with K & R Family Legal Services, LLP in Northbrook. Licensed as an attorney in Illinois since 1990, Rakowski is a former President of the Advocates Society and serves as a director of the Polish American Association. Rakowski has also volunteered as an attorney and director of the Amicus Poloniae Legal Clinic, receiving its 2008 Distinguished Service Award. He has also served as general counsel and volunteer with Chicagoland Golden Gloves Charity. 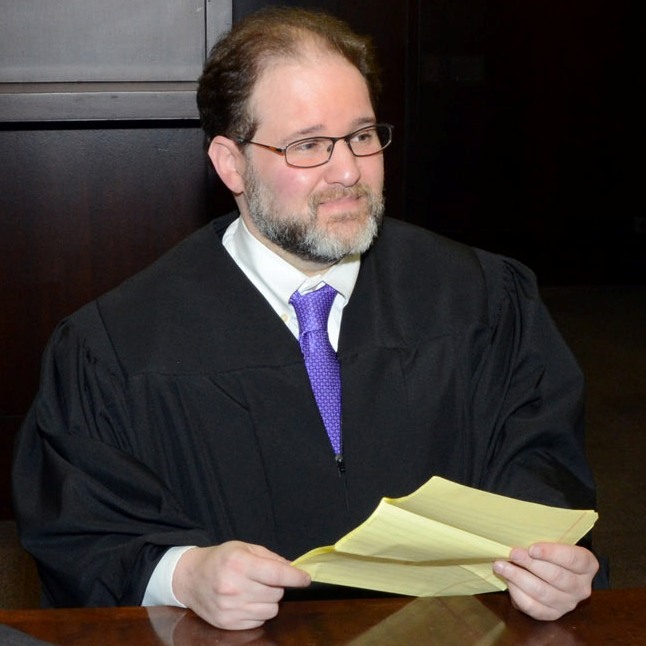 Judge Travis Richardson was appointed to the Circuit Court in February 2017, soon after the appointment of his one-time law partner, Myron Mackoff. 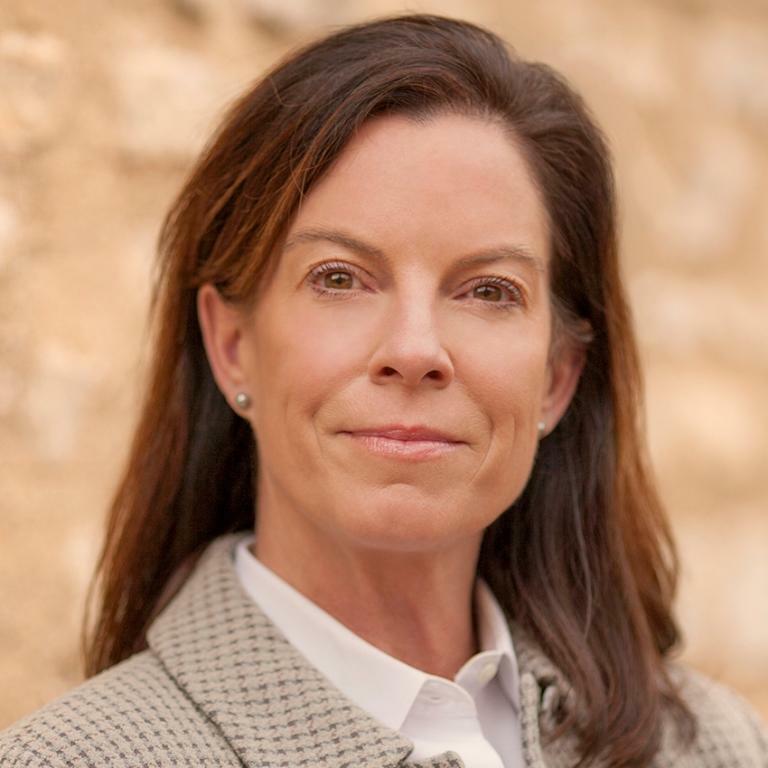 Richardson was a candidate for 2nd Subcircuit vacancies in both 2016 and 2018, garnering the endorsement of the Chicago Tribune in both races. Richardson also served as a Hearing Examiner for the Chicago Board of Elections between 2010 and 2012. He has been licensed as an attorney in Illinois since 1997. Lori Michele Rosen is a Cook County Assistant State's Attorney. She has been licensed in Illinois since 1996. Part 3 of this look at the persons on the Short List will follow as soon as possible. This post will be updated as necessary. The Tribune is now reporting the death of one-time judicial primary winner Rhonda Crawford. FWIW has heard from multiple sources that Ms. Crawford took her own life. If true (and I have no reason to doubt my sources), this is a terrible, and unnecessary, end to a sad, sordid saga. It's a good job. Nice salary. Top-flight benefits. Above-average working conditions. And more: It can provide at least a chance to do some tangible good in a terrible world. It's a job that so many FWIW readers desperately want; it's a job that I have coveted for a quarter of a century. But it's still just a job. It's not worth dying for. Even for one who came so close, but who fumbled it all away. We'll be back to regular programming here soon. But, for now, I pray for Ms. Crawford's friends and family and for the peaceful repose of her soul. Updated to add this statement from the office of Chief Judge Timothy Evans: "Chief Judge Evans is saddened to hear of Ms. Crawford’s passing and offers his condolences to her family and friends during this difficult time." If history is any guide, I'll have to update this post as more information becomes available -- and that will be my plan, as time permits. Starting today, in alphabetical order, FWIW takes a look at the 34 persons on this year's Associate Judge "Short List." Amee Elizabeth Alonso is a sole practitioner with offices in Chicago's Loop. She was licensed in Illinois in 1994. Alonso was briefly a candidate for a countywide vacancy in the March primary; she withdrew from the race before the end of 2017. Her husband is U.S. District Court Judge Jorge Luis Alonso. 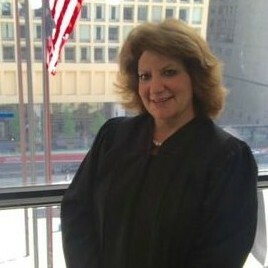 Marina E. Ammendola was appointed to the Circuit Court by the Illinois Supreme Court in February 2017. She was an unsuccessful candidate for a 14th Subcircuit vacancy in the March primary. A former school teacher, Ammendola has been licensed as an attorney in Illinois since 1989. Ammendola made the Chicago newspapers at the turn of the century when she represented Ald. Ed Burke and his wife, now-Supreme Court Justice Anne M. Burke, in the "Baby T" custody case. Before setting up her own practice in 2001, Ammendola worked for Patricia C. Bobb & Associates. 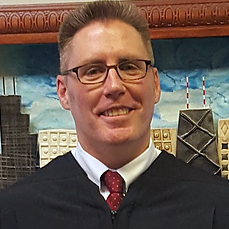 The Illinois Supreme Court appointed Judge Charles Stanley Beach to the Circuit Court in September 2017. He was unsuccessful candidate for a 6th Subcircuit vacancy in the March primary. Licensed as an attorney in Illinois since 1996, Beach operated his own practice, Charles S. Beach, P.C., from 1999 until his appointment. A six-time Chair of the Chicago Bar Association Traffic Law Committee, Beach is the author of "Traffic Court Practice and Procedure," written for the Illinois Institute of Continuing Legal Education. Lloyd James Brooks (pictured at right) is a founding partner of the Matteson-based Consumer Legal Group. He has been licensed in Illinois since 2000. While Brooks focuses his practice mortgage foreclosure defense, having taken a number of such cases up on appeal, he also engages in other consumer protection litigation, real estate and insurance coverage matters. Brooks is also a Chartered Property Casualty Underwriter. Joel David Buikema (pictured at left) has been licensed in Illinois since 1997. He joined the Sandrick Law Firm in South Holland after 15 years as a Cook County Assistant State's Attorney, including service in that office's Real Estate Taxation Division. Jeffrey George Chrones (pictured at right) is a shareholder in Johnson & Bell, where he serves as outside counsel to Pace Suburban Bus Service and otherwise focuses his practice on transportation, toxic tort, employment and product liability. A former Cook County ASA and Illinois Assistant Attorney General, Chrones has been licensed in Illinois since 1993. 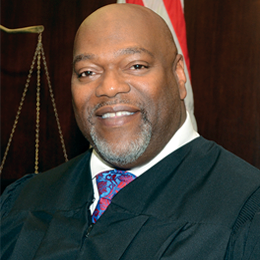 Judge Gerald Vernon Patrick Cleary III currently sits by appointment to a 10th Subcircuit vacancy. He was an unsuccessful candidate for this vacancy in the March primary. Cleary has served as a Cook County Circuit Court judge since 2015, when he was appointed to a countywide vacancy. He withdrew his candidacy for that vacancy before the 2016 primary. Cleary sought a 10th Subcircuit vacancy in 2008 and a countywide vacancy in 2012. At the time of his first bench appointment, Cleary was a partner with Pappas, Davidson, O'Connor & Fildes, P.C. Before joining Pappas, Davidson, Cleary was a partner at SmithAmundsen. From 1990 to 1997, Cleary was associated with Querrey & Harrow. He has been licensed in Illinois since 1989. The Illinois Supreme Court appointed Judge John S. Fotopoulos to a countywide vacancy in August 2017. Although he was a candidate for a 15th Subcircuit vacancy in the 2014 primary, Fotopoulos did not file for any vacancy in the March 2018 primary. 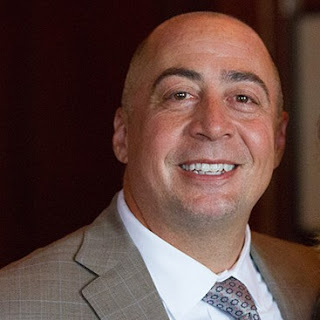 A sole practitioner with offices in Orland Park at the time of his appointment, Fotopoulos has been licensed in Illinois since 2000. Jean Golden is a partner with Cassiday Schade, where she co-chairs the firm's Insurance Practice Group. Licensed in Illinois since 1977, Golden has authored or co-authored a number of articles, including chapters in IICLE, Commercial and Professional Liability Insurance (2008, 2010, 2014) and Illinois Insurance Law (2009, 2012, 2015). Sanju Oommen Green is one of only two finalists this year who was also a finalist for the 2016 associate judge selection. In one of those glass half empty/ glass half full conundrums, Green was also a finalist for the 2014 associate judge selection. Green is an Assistant State's Attorney, serving as a first chair prosecutor at 26th Street. Licensed in Illinois since 2000, she is a Past President of the Asian American Bar Association. According to the AABA website, Green was also a founding member of the Chicago Chapter of the National Asian Pacific Islander Prosecutors Bar Association, serving as secretary on its national board. James Edward Hanlon, Jr. is currently the Chief of the Special Litigation Division in the Cook County State's Attorney's Office. 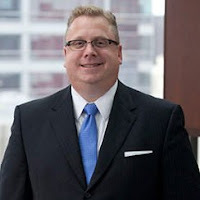 Licensed as an attorney in Illinois since 1984, Hanlon was at one time an equity partner in two Big Law firms, Howrey, LLP (in the Global Litigation Group) and what is now called Katten Muchin Rosenman LLP. He sought 12th Subcircuit vacancies in 2014 and 2016. He is married to Circuit Court Judge Kay M. Hanlon. Michael James Hogan, Jr. is a Cook County Assistant State's Attorney. He has been licensed in Illinois since 1999. I believe he is the son of former Cook County Circuit Court Judge Michael Hogan. Nathalina Antionette Hudson is an Assistant U.S. Attorney. She has been licensed in Illinois since 2001. 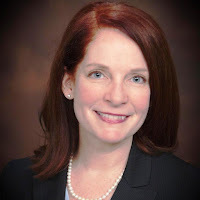 Joan Marie G. Kubalanza is currently a partner with Lewis Brisbois Bisgaard and Smith, LLP, specializing in insurance law and insurance coverage matters. Licensed as an attorney in Illinois since 1984, Kubalanza was briefly an associate judge in the late 1990s. She was recalled to service as an associate judge by the Illinois Supreme Court in 2008, serving in this capacity through (I believe) 2012. Kubalanza was a candidate for a 15th Subcircuit vacancy in 2010 and for a countywide vacancy in 2012. Individuals who are leading the way to promote strength, professionalism and diversity across Chicago’s legal community will be recognized at the Chicago Bar Association’s 2018 Vanguard Awards Luncheon on Tuesday, April 24, 2018 at the Standard Club in Chicago. The event will honor 15 lawyers, judges or institutions that have made the law and the legal profession more accessible to and reflective of the community-at-large. Former Judge Maryam Ahmad, of the Cook County State's Attorney's Office, will be the CBA’s 2018 Vanguard honoree. Additional Vanguard honorees include Judge Samuel Belar III of the Arab American Bar Association of Illinois; Dorothy Capers of the Black Women Lawyers Association of Greater Chicago; Rep. Kelly Cassidy of the Lesbian and Gay Bar Association of Chicago; Veda Dmitrovich, of the Serbian Bar Association; Raja Gaddipati (posthumously) of the Asian American Bar Association of Greater Chicago, and Judge Shelvin Louise Marie Hall of the Cook County Bar Association. The remaining recipients include Alejandro Menchaca of the Hispanic Lawyers Association of Illinois; Dennis Mondero of the Filipino American Lawyers Association; Marta Almodovar of the Office of Accessibility & Education Outreach; Pedro Soler, of the Puerto Rican Bar Association; Judge Shelley Sutker-Dermer of the Decalogue Society; Judge Neera Walsh of the South Asian Bar Association of Chicago; Judge Diane P. Wood of the Women’s Bar Association, and Gary Zhao of the Chinese American Bar Association of Greater Chicago. A reception for the Vanguard honorees begins at 11:30 a.m. at the Standard Club, 321 S. Plymouth Court, followed by the luncheon in the Grand Ballroom. Space was still available yesterday; persons interested in attending should call the CBA at (312) 554-2057. Tickets are $70 each. It wasn't eight; it was nine. The 'unofficial' list I saw this morning was off by one. Nine currently-serving judges are on the 'short list' just released by Chief Judge Timothy C. Evans. One, John S. Fotopoulos, did not run in the March primary. The other eight, Marina E. Ammendola, Charles "Charlie" Beach, Gerald Cleary, Myron "Mike" Mackoff, Stephanie Miller, Travis Richardson, Robin Shoffner, and Patrick Stanton, all came up short in their election bids. On the other hand, that means that seven other current judges who were not on the primary ballot or who lost their primary elections, are not on the list. One finalist, Sanju Oommen Green, was also a finalist in 2014 and 2016. Another, Joan Marie G. Kubalanza, was briefly an associate judge in the late 1990s. She was recalled to service as an associate judge by the Illinois Supreme Court in 2008, serving in this capacity through (I believe) 2012. Kubalanza was a candidate for a 15th Subcircuit vacancy in 2010 and for a countywide vacancy in 2012. More about the current finalists will be forthcoming. But, for now, here is the list. Seventeen new associate judges will be elected from this list of 34 finalists. Unless there are one or more write-in winners. According to the Chief Judge's press release today, of the 272 original applicants, 24 withdrew from the process before interviews. The Circuit Court's Nominating Committee interviewed 248 applicants, and post-interview withdrawals decreased the number to 232 applicants. Each of the 34 finalists holds ratings of Recommended, Qualified, or better from both the Chicago Bar Association and each of the 11 Alliance bar groups. The Northern District of Illinois has announced an opening for a new Chicago-based Magistrate Judge. The deadline for applications is 4:30 p.m. on May 18. Applications can be accessed via this page on the Northern District's website. A Merit Selection Panel composed of attorneys and other members of the community will review all applications and recommend to the judges of the Court a list of the persons whom it considers best qualified. The Court will make the appointment following a Federal Bureau of Investigation full-field investigation and Internal Revenue Service tax check of the person selected to fill the position. An affirmative action effort will be made to give consideration to all qualified candidates, including women and members of minority groups. All applications will be kept confidential, except as necessary for the Merit Selection Panel to perform its duties, and all applications will be examined only by members of the Merit Selection Panel and the district judges of the District Court. Let's start with the facts as we know them right now: The 2018 Associate Judge short list has not yet been officially released. Anxious FWIW readers may have seen a number of comments posted this morning suggesting that the short list came out last night. But the short list has not yet been officially released. Unofficially, I have seen a partial list of names this morning that includes eight current Cook County Circuit Court judges sitting pursuant to Illinois Supreme Court appointment. I'm sitting on the list for now because it appears to be incomplete and because I can't verify all the names on it. I'll update during the day as more information becomes available. It is my understanding that the AJ finalists are to meet later this morning; the official list will most likely be released after that meeting has concluded. The Illinois Judges Foundation and the Illinois Bar Foundation are co-hosting a Legal Luminary Reception on May 15, from 5:00 to 7:00 p.m., at the Illinois State Library, 300 S. 2nd Street, Springfield. The proceeds from this joint event will benefit the educational, scholarship, legal aid, and lawyer assistance programs funded by the Illinois Judges Foundation and the Illinois Bar Foundation. The "Legal Luminaries" to be honored at this event are former Illinois Supreme Court Justice Philip J. Rarick, Circuit Court Judge Carole K. Bellows, and Springfield attorney Harvey B. Stephens. Tickets for the event are $50 each and may be purchased through the IBF website or by calling (312) 726-6072. A block of hotel rooms has been reserved at the President Abraham Lincoln Springfield Hotel for $125 per night. The pricing will be available until April 24 or until the group block is sold out, whichever comes first. Reservations can be made through via the IBF website page linked above. Guided tours of the Illinois Supreme Court will be conducted on May 15, but places are limited. Tours are set for 4:30 and 5:00 p.m. Arrangements must be made through the IBF website. This joint reception is being held on the occasion of the Illinois bicentennial. The IJF and IBF Joint Bicentennial Reception Committee includes Perry J. Browder, Hon. John L. Hauptman (Ret. ), Hon. Martin J. Mengarelli, Donald R. Tracy, Lauren Tuckey Murray, and Hon. Debra B. Walker. 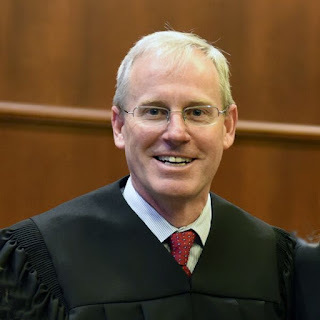 In an order entered yesterday, the Illinois Supreme Court appointed Judge John C. Griffin to the Appellate Court vacancy created by the pending resignation of Justice John B. Simon. The appointment is effective May 2, and will terminate on December 7, 2020. 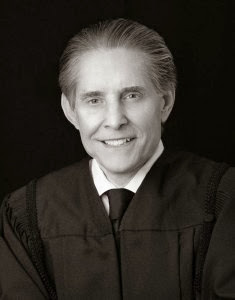 Judge Griffin was admitted to the Illinois bar in 1976. He was in private practice for 31 years, primarily handling real estate, zoning and development-related matters, until March 2008, when he was appointed to the Circuit Court bench by the Illinois Supreme Court. Griffin won election to a 15th Subcircuit vacancy in 2010. The Chicago Council of Lawyers bestowed a 'Well Qualified' rating on Judge Griffin when he sought retention in 2016. The Chicago Bar Association has announced three events to coincide with the American Bar Association's celebration of Law Day on May 1. Call-a-Lawyer Program. The CBA's Law Week observances begin on Saturday, April 28, from 9:00 a.m. to noon, when lawyers with the CBA's Call-a-Lawyer Program will be available to take calls and offer brief legal advice at (312) 554-2001. Citizens can call in and briefly explain their situation to an attorney who will then work to suggest self-help strategies or provide advice to help resolve their issues. If callers need further legal services, or have questions beyond the scope of the attorney’s practice area, they will be advised to contact the CBA Lawyer Referral Service for a referral to an attorney in the appropriate area of law. Employment Law, including wrongful termination, harassment and discrimination. Additionally, the CBA offers an after-hours On-Call service which provides callers access to attorneys in three different areas of law at any time after normal business hours. Citizens can reach a lawyer 24/7 for help with criminal defense, personal injury and family law matters by calling (312) 554-2001. Meet the Judges Reception and Liberty Bell Award Presentation. The CBA Young Lawyers Section will host a "meet and greet" with judges from the Federal Court, the Illinois Appellate Court, and the Circuit Court of Cook County on Thursday, May 3, from 5:00 to 7:00 p.m., at the CBA. The event is free for CBA members, but registration is required. Click here to reach the event registration page on the CBA website. The YLS will present its Liberty Bell Award at the May 3 reception. The award is made to a non-lawyer who works within the legal system to advocate for the disadvantaged and help increase access to the justice system for citizens who need it most. Nominations for the award remain open until April 20. For more information about the award, or to nominate a deserving non-lawyer, click here. Law Day Public Celebration. The CBA will conclude its celebration of Law Week by hosting a public celebration of Law Day on Friday, May 4, at noon in the Daley Center Plaza. The CBA's Barristers Big Band will provide musical entertainment, offering selections from the Big Band Era. Prominent members of the Chicago legal community will provide personal reflections at the ceremony. The theme of this years CBA's Law Week programs is "Separation of Powers: Framework for Freedom." CBA President Judge Thomas R. Mulroy said this year’s theme is a good reminder that our system can only work if there is access to justice for all, regardless of income. "We must all work to ensure access to justice and to freedom for the judiciary. The separation of powers and the checks and balances in the American system of justice has never been more important so as to preserve liberty and justice for everyone," said Mulroy. "The Chicago Bar Association is proud to be leading this conversation with an exciting week of events for legal professionals and the public." Harry Anderson, who played Judge Harold T. Stone on TV's Night Court from 1984 to 1992, has passed away. I will be playing a lot of Mel Tormé records today. 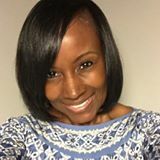 Chelsy A. Castro, JD, MA, MSW, LCSW, is Director of Outreach and Clinical Programming for the Illinois Lawyers’ Assistance Program. She joined the LAP staff in 2014. As lawyers, we are a vulnerable population. Recent studies have confirmed that the overwhelming stress that is commonplace in our legal profession disproportionately results in attorneys suffering levels of depression, anxiety, addiction, and other serious issues at rates much higher than those seen in the general population.1 Statistics collected by the Illinois Lawyers’ Assistance Program, a not-for-profit providing free and confidential support for all Illinois lawyers, judges, and law students in the areas of stress, anxiety, overall well-being, burnout prevention, grief, process addictions, and substances abuse, among other concerns, show that the nationwide issues identified by these studies are also very present here in the state of Illinois. Many outside the profession are surprised to learn that, while we are problem solvers and we do have influence, we are also a vulnerable population suffering at alarming rates. So why are attorneys a vulnerable population? Our consistently demanding careers are a key factor, but it goes deeper than that. As attorneys, we typically face three categories of stressors: 1) Life Stressors; 2) Organizational Stressors; and 3) Individual Stressors. Life Stressors are those factors that come along with being human. Just because we are lawyers does not mean we get to avoid issues with our partners; problems with our children; health concerns; and/or financial hurdles. Rather, we have to cope with all those often inevitable stressors in the context of our already very stressful careers. The Organizational Stressors are those factors that are unique to the practice of law. For many attorneys, legal practice can be characterized as one of high pressure, but little credit. We are often the workhorses for our firms or agencies. That is OK, but it can be a big stressor for those accustomed to praise in exchange for effort and/or sacrifice, as we are conditioned to expect throughout our schooling. We are also functioning in what is usually a zero-sum game. Our legal system is adversarial in nature, usually resulting in one side loosing while the other wins. Even in a contract negotiation with that "meeting of the minds," rarely does everyone walk away from the table with everything they wanted. We all logically understand this, but we struggle to accept that, statistically, we must loose sometimes, resulting in psychological stress. We also have client expectations to contend with. Have you ever had a client who was OK with receiving work next week and that it be "good enough?" It is highly unlikely that this describes anyone's typical caseload, and for a good reason. As attorneys we are dealing with very important issues for other people; we often have their livelihoods, family's wellbeing, or even their lives in our hands. There is a lot on the line, causing an enormous amount of pressure to get it right. Finally, there is our legal culture’s definition of success. Culturally, we base a lot of our self-worth on external validating factors, things that are external to who we are as people. The most common ones are: what law school you graduated from, your class ranking, what journal you wrote for, who you work for, who your clients are, what your title is, and what you get paid. There is nothing wrong with success or these factors, but, if our self-worth is primarily defined by these, we stand to suffer a great deal when one of them goes awry, often by no fault of our own. Individual Stressors are those factors that we both see in ourselves and share with many attorneys. Pessimism is a widely shared personality trait in lawyers which is simultaneously beneficial and harmful. Pessimism can actually make you a very good law student and later an excellent attorney because it helps you keep a look out for all of the potential problems. In fact, it’s one of the first things they teach you in law school – only it's called issue spotting! Whereas pessimism can be very useful in the form of issue spotting in the context of our legal profession, it can be detrimental in our personal lives, making us bad partners, bad parents, bad friends, and bad to ourselves. We are our own worst enemies when it comes to pessimism, often focusing on the losses or negatives, rather than identifying strengths and opportunities. In addition to being pessimists, we are also often perfectionists. Many will argue that perfectionism drives attorneys to be better and work harder, but how many of us are actually perfect? (If you have identified yourself as perfect, please do contact us. We should have a chat.) We logically know we are not perfect, but somehow we continue to expect ourselves to be, often beating ourselves up psychologically whenever we fail to measure up to this unattainable goal. Moreover, perfectionism is often a double edged sword. Yes, it can drive you to do better (likely causing suffering along the way due to unrealistic expectations), but it can also keep you from attempting things because you are fearful of not being perfect at them. When was the last time perfectionism held you back? The inherent role of stress both in human nature and the legal profession requires that attorneys develop coping mechanisms. Unfortunately, as recent studies and IL LAP statistics both reveal, substance abuse is often used as a coping mechanism for this stress. In a culture in which substance use (often alcohol) is acceptable in both professional and social contexts, it can be challenging to know when such use becomes a problem. Alcohol consumption is not the problem. Rather, the problem arises when alcohol and/or other substances are used as coping mechanisms. So what signs should tip you off that you or a colleague might be relying on a substance as an unhealthy coping mechanism? To help you remember, you can follow the MAP, a mnemonic device developed by IL LAP (Pacione & Belleau, ABA Solo Practice Journal, May 2015). If you notice a big shift in a person's mood, appearance or productivity, take that as a sign that the individual is potentially relying on a substance as a coping mechanism. As both recent studies and IL LAP statistics reveal, substance abuse among attorneys is often accompanied by issues such as anxiety and depression, two of the most common mental health issues identified among attorneys. What do you do if you notice some of these symptoms in a colleague? You have options. Some would argue that you should not do anything because "it's none of your business," or because you might face repercussions from that individual. That is an option, but it is one that is more likely to result in hurting that individual and, potentially, causing harm to his or her clients and/or employer. It is not the responsible choice. That’s why LAP exists. Through LAP you have a few choices: 1) You can tell your colleague about LAP and its cost-free and confidential services, encouraging him or her to contact us; 2) You can express your concern to your colleague and then call LAP with him; or 3) You can call LAP without your colleague and express your concern to a LAP clinician, with the option to remain anonymous. This last option eliminates the concern of repercussions. Once initial contact is made with LAP, the individual will meet with a LAP clinician for an assessment. Assessments last approximately 30-45 minutes and take place in person at one of LAP's four offices (accommodations can be made for individuals who cannot travel to an office). During the assessment, the individual and the clinician will discuss the individual's personal, medical, and family history, what precipitated the meeting, and his or her current goals. The meeting will conclude with an action plan for the individual's treatment. That plan might include one or more of the following: short-term individual counseling at LAP; a referral to a long-term therapist; attendance at one of LAP's weekly support groups; a pairing with one of LAP's trained Peer Support Volunteers; a referral to a higher level of care; or other. Regardless of the options or combination thereof, the individual will receive continued confidential support from LAP at no cost and for as long as necessary. For more information, visit the LAP website at www.illinoislap.org, or contact the Chicago LAP office at 20 South Clark St, Suite 450, call to visit any of our office state-wide (312) 726-6607. You may also send a 100% confidential email to gethelp@illinoislap.org. The only wrong thing to do is to do nothing. LAP is here to help. 1 Buchanan, Bree et. al. The Path to Lawyer Well-Being Practical Recommendations for Positive Change. The Report of the National Task Force on Lawyer Well-Being. American Bar Association, https://www.americanbar.org/content/dam/aba/images/abanews/ThePathToLawyerWellBeingReportRevFINAL.pdf. The Chicago Bar Association is looking for new members for the Investigation Division of its Judicial Evaluation Committee. In an email sent yesterday, the CBA reminded members that its "Judicial Evaluation Committee serves the legal profession and the public by investigating and providing substantive recommendations regarding judicial candidates and sitting judges seeking retention. It is among the most valuable and essential work performed by the CBA." Current members do not have to reapply. But all persons "with a few years of practice experience" looking to volunteer can get an application by simply clicking on this link. The completed form should be sent to Therese Kurth by fax to (312) 554-2054 or by email to tkurth@chicagobar.org on or before May 15, 2018. Applicants will be contacted by a committee member thereafter. Second in a series. For the first article in this series, scroll down or click here. In a March 27 story on Injustice Watch ("Cook County judicial voters reject old habits, disfavor poorly rated candidates"), Mari Cohen and Olivia Stovicek reviewed the results of last month's judicial primary. Among the theses of the article was that, in this election, good bar ratings were important to primary voters. But the authors also spoke with former DePaul Law School Dean (and former Circuit Court and Appellate Court Judge) Warren Wolfson, who poured a little rain on their parade: "Though most candidates consistently found unqualified lost, 'that doesn’t mean the others are qualified,' [Wolfson] said. 'Unless someone’s been sitting as a judge, you don’t really know how they’re going to behave.'" In other words, Wolfson said that good bar ratings do not automatically equal good judicial performance; good performance in office is the best predictor of continued good performance. If a mere blogger expresses such an opinion, it is just another blast of hot air in the Ether. But, when a person of Judge Wolfson's experience and credibility offers it, it becomes worthy of examination. Don't get me wrong: I support the considerable efforts of the Chicago Bar Association and the Alliance of Bar Associations for Judicial Screening in investigating and formulating evaluations of Cook County judicial candidates. I believe the bar ratings are important for persons looking to make informed choices when they vote for judge. I'm a fan. Of course, I was a bigger fan of bar ratings during the many years that I was rated recommended or qualified by each and every bar group. In 2015, when my credentials were reexamined in conjunction with my application for associate judge, although I retained positive ratings from the CBA and most of the Alliance bar groups, a few of the Alliance groups decided I was no longer qualified. I therefore withdrew from the 2015 AJ applicant pool and did not reapply in 2017 (negative Alliance ratings remain in force for three years). I was perhaps less of a fan of bar ratings from that point forward. This merely proves I'm human. Because of my newfound perspective, I can better understand the negative evaluation my friend Bonnie McGrath gives bar ratings. McGrath wrote a March 5 post on Chicago Now, a Tribune blogging platform, entitled, "I lost my faith in the bar association ratings of Cook County judicial candidates a long time ago and you should, too." My faith in the bar evaluation process has been merely shaken, not lost. So there are many things in McGrath's post with which I disagree. But there is no human endeavor that cannot be improved. So, even though I support bar evaluations generally, I can agree with McGrath when she is critical of some terms that crop up often in bar evaluations, like "complex litigation," or "depth and breadth" [of practice]. Like Bonnie, I would sure like to know what litigation is "complex" and what is not. The cynic in me suspects that it may sometimes be the case that 'complex' is what we do and 'not complex' is what they do. Or, perhaps, that 'complex' involves large amounts of money, while 'not complex' involves small amounts. Either way, what a load of road apples. Actually, if you read all the published evaluations over the years, as I have (of the 12 evaluating bar groups, only two, the Chicago Bar Association and the Chicago Council of Lawyers, consistently release written findings; the Illinois State Bar Association released written findings for the 2016 and 2018 primaries) you will see that the findings are frequently inconsistent -- Candidate A is deemed 'not qualified' because she has 'limited' trial experience or no 'recent' trial experience, but Candidate B is found qualified even though she has no trial experience because she has substantial motion practice or has managed a large group of people. McGrath finds it distressing that the bar groups do not always agree -- how can one group say a person is qualified while another, looking at the same application, hearing the candidate at the same interview (the Alliance pools its resources in this manner), reaches the opposite conclusion? I say it merely shows that reasonable people can differ. But, clearly, some bar groups -- and some panels within bar groups -- are demonstrably more demanding, less likely to approve a candidate's credentials. I would challenge those that are inclined to a more demanding view to look at themselves and at their more tolerant peers: Why do you differ? Are you falling prey to elitism? It would be interesting to compare 'qualified' ratings between solo practitioner candidates and candidates from large firms. I am pretty certain that, were one to do a systematic study, one would find that, at least for civil practitioners, solos are far more likely to be found less qualified than their brothers or sisters from large firms. Why? Of course, I am a solo, so this hits close to home -- so let me use my own practice as an example: Thirteen years ago I was just finishing up a massive consolidated case -- it lasted nearly nine years, and I'd been involved in the case from the beginning. There'd been 10 consolidated cases at one time, a related federal case, an interlocutory trip to the Appellate Court, all capped off by a lengthy trial. Complex enough for you? And (at the risk of bragging here) I achieved a very good result in that case -- something that did me no good at all, from a business standpoint, because the insurer who was funding that defense went into liquidation and runoff as my case was winding down. But the bar associations loved me then. Over the next several years, I had a run of coverage cases, all for a different carrier. Not as much litigation -- in many respects the best coverage evaluations avoid litigation, not cause it -- but there was some. Unfortunately for both me and the carrier, I was not always successful in the litigations that did result. There are no points awarded for eloquence or effort in the world of business. All that matters are results, and the last result matters most. So, after a couple of unhappy results, the carrier moved on. But the bar associations still loved me. I was fortunate to stumble into a replacement for the departing carrier before the phones were shut off. But the new carrier was a 'substandard' one -- defined as one that writes statutory minimum policies only -- and I found myself in 1501 on a regular basis for the first time in decades. And some of the bar associations didn't love me anymore. Was I suddenly dumber? Well, in 1993, when I first submitted my credentials for screening, I was pretty sure I knew everything I needed to know. Now, a quarter century later, I'm still learning new stuff in every election cycle, and I still don't know enough... but I don't think that was really the problem in my case. All during these years there were appeals of one sort or another, including the one I mentioned above. Some years there were more than others. Also, throughout this period there were other litigation matters, some more 'complex' than others -- including those that prompted me to realize the need for Zero Based Discovery. But there were never enough contingent fee matters or appeals or private litigations to generate a consistent and predictable cash flow. Instead, it was these insurance clients who provided the most reliable income. Not the highest-paying business, but the most regular. So I've been very grateful for insurance industry work, of whatever kind, over the years. You know what? I don't apologize for doing honest work, to the best of my ability, in an effort to support my family. And I have news for the snobs: Though the dollars involved may be small, the legal issues in some of these 'little' cases can be just as thorny as in multi-million dollar cases. Not always -- but sometimes. The point is, unlike their brothers and sisters in larger firms, a solo must take such business as is available, when it becomes available, for as long as it remains available. And if that's too déclassé to remain 'qualified' for judicial service in the opinion of some, well, I have a short, pithy response that I will not render in print. The evaluators' focus should be on finding out what sort of persons are looking for elevation to the bench. Now, if someone has only done the most mind-numbing document review for the entirety of his or her career, perhaps it is reasonable to consider how that person would be able to handle the challenges of judicial service. But bar evaluators should think twice before allowing their critique of a judicial aspirant's current practice to negatively impact their rating of the candidate -- especially where the the candidate has demonstrated the ability to handle more 'complex' work in the past. And one other idea I will steal, er, borrow from McGrath's article: The idea of a "Not Qualified" rating -- which some bar groups use instead of "Not Recommended" -- should be scrapped in favor of a uniform "Not Recommended" rating whenever a bar group reaches a negative evaluation. Under Illinois law, every lawyer in good standing is legally "qualified" to be a judge. It is presumptuous of a bar group to suggest otherwise. Under this same reasoning, the 'Qualified' rating should be scrapped in favor of "Recommended" (or "Highly Recommended"). Sometimes candidates forget this, but bar evaluations are not endorsements. Many's the time that a bar group will rate every candidate in a race as 'recommended' (or, sadly, sometimes, 'not recommended'). Use of Recommended/Not Recommended might make it more clear that bar groups are not endorsing anyone. And, selfishly, it would make it easier for me, in putting together the Organizing the Data posts on this blog: I wouldn't have to double-check to see whether this group or that one uses "Qualified" or "Recommended" ratings (one Alliance group uses one rating for sitting judges, the other for all other candidates, and it really gets confusing if a candidate is appointed to the bench after this bar group's rating has been issued). The time for looking at how the bar groups evaluate candidates is now, now that the primary is over, now in the brief period before the JECs must gear up again to look at retention candidates. I'm sure the various bar groups do this on a regular basis, even without prompting from bloggers. I hope that posts like this may, however, contribute to those internal conversations. Also, for all the rest of you on the outside looking in, I can suggest one way in which you can improve the quality of bar evaluations in this county: Raise your hand. Volunteer. The more evaluators we have, from varying backgrounds, the better, and fairer, the process will be. Soon (as soon as next Monday, according to one tip I received) the Nominating Committee of the Circuit Court of Cook County will reconvene. The Nominating Committee's task is to pare the February 2017 list of 272 hopefuls into a 'short list' of 34 finalists for this year's class of 17 associate judges. The Committee's job will be complicated by that fact that, among the current pool of 272 applicants (a few presumably have dropped out along the way, but that was the original number) are several judges sitting pursuant to appointment by the Illinois Supreme Court who were not successful candidates in the primary just concluded. To be specific, there are 18 currently-sitting judges who were not successful candidates in last month's primary. Of these 18, two did not run, one was knocked off the ballot, and 15 ran and lost. And 16 of these 18 currently-sitting judges are also in the associate judge candidate pool. Neither inside information nor clairvoyance is required to predict that some of the 16 currently-sitting judges who, for one reason or another, did not win in the primary but who did apply for associate judge, will make the short list. However, history suggests that not all of these 16 sitting judges will make the short list. It is at least possible that one of the 16 omitted from the short list may nevertheless secure election as a write-in. It has happened in the last two associate judge selections. There is a reason. Some of the more conspiracy-minded in the audience will have several theories on this -- and, of course, I am obliged to admit that, with so many persons involved in the selection of associate judges, there can be many reasons for the success of recent write-in campaigns. But I submit that one reason predominates: The successful write-ins persuaded their peers that they were already good judges. Most of the persons on the last two short lists -- and, very likely, most of the persons on the forthcoming short list as well -- could not make that claim. They could only point to their favorable bar evaluations. In the last two associate judge selections, quite a few of the applicants were rated qualified or recommended by each and every reviewing bar group. All of the finalists were. However, in a March 27 story on Injustice Watch ("Cook County judicial voters reject old habits, disfavor poorly rated candidates"), Mari Cohen and Olivia Stovicek quote former Circuit Court and Appellate Court Judge Warren Wolfson as saying, "Unless someone's been sitting as a judge, you don't really know how they’re going to behave." And that, ladies and gentlemen, is an inherent weakness in the judicial evaluation process. However high the bar ratings, until a person dons the robe and does the job, it is by no means certain that the judicial aspirant will be a good judge. The robe hangs heavier on some shoulders than others. 'Robe-itis' comes in many forms: Some perfectly nice people, pillars of their community, hail fellows well met, will become obnoxious little tyrants simply by putting on 'the dress.' Some diligent, hard-working lawyers morph into sloths after taking the oath. Others simply cannot make the transition from zealous advocate to neutral. Robe-itis sometimes strikes even those with stellar bar ratings. The 34 persons appointed to the Cook County bench by the Illinois Supreme Court since the filing period closed for the 2016 primary have all had an opportunity to prove to their new peers that they are immune to robe-itis. They have been given a chance to show that they can do, and are doing, the job. And, from a management standpoint, it makes sense to keep a good employee 'in harness' rather than replace him or her with an untested rookie, however highly touted. That is not to say that any of the sitting judges who may be left off the short list, or who are not successful write-ins, have been in any way 'bad' judges. There are an abundance of worthy candidates, and politics and personalities enter into the equation here as in any human endeavor. As it has sometimes done in the past, the Supreme Court may give some of these a second chance -- and these persons may be sincerely welcomed back by their colleagues. But -- while we're waiting for white smoke from the big conference room on the 26th floor -- perhaps we can look further at the judicial evaluation process. I plan to do so in my next post. A couple of weeks ago, just after the primary, I wrote a post that noted that, even while the population of Chicago in particular and Cook County generally was decreasing, the voter rolls were increasing. On the other hand, I read the other day that bloggers getting book deals was 'so 1995.' But, perhaps, by spinning this one fact as wildly as possible, I might get booked on a cable TV shouting show. Which one, I suppose, would be dependent on whether I spun my little fact clockwise or counterclockwise. Or, alternatively, I could ask the election authorities for an explanation. That being the less business-savvy course, it is the one I chose. In my March 23 post, I promised to report on any responses received. And I've now heard from both Cook County Clerk David Orr's office and the Chicago Board of Elections. James Scalzitti, Deputy Communications Director for the Clerk's office, wrote that not all eligible voters actually register. Historically, he said, "voter rolls have only captured about 80 percent of eligible voters." But, over the past four years, the Clerk's office has done several things to identify and register hitherto unregistered voters. Specifically, according to Scalzitti, the Clerk's office participates in ERIC (Electronic Registration Information Center) and the U.S. Postal Service's National Change of Address (NCOA) registry. ERIC is a multi-state voter information sharing system, Scalzitti said. It compares Illinois' voter registration data, USPS Change of Address, death record data and some motorist info against data from other member states. From that we get reports that identify in-state movers, cross-state movers, deceased voters, in-state duplicates, and eligible but unregistered voters. "With these tools," Scalzitti wrote, "we're able to do digital canvassing of voter registrations and add missing information, such as birthdates, driver's license numbers, and also weed out old addresses, other old information." Of course, that merely makes voter records more accurate. It does not increase registrations; it might actually decrease them. Scalzitti acknowledged, "Because of our participation in ERIC and NCOA, we've been able to do a better job of scrubbing the voter rolls of people who may have moved or died without telling us." But, at the same time, Scalzitti noted, since 2014, "Illinoisans have been able to register online ("through the state Board of Elections website - our website directs them there.) So we've made registration easier in the last four years." Scalzitti also cited the relatively new practice of Election Day registration. Persons can simply show up at their polling place on Election day and register. "Before anyone asks," Scalzitti cautioned, "they do have to provide two forms of ID." On March 20, according to Scalzitti, "we had 4,241 people in suburban Cook register on Election Day, 1,006 of them because their address had changed, while the remaining 3,235 were new registrations. Moreover, people are allowed to register after the usual registration period, during Early Voting, according to Scalzitti. In "Grace Period Registration and Voting," a prospective voter, after showing ID, has to vote immediately at the early voting site; he or she can not return on Election Day. Another 940 17-year olds were able to register for last month's primary, Scalzitti said, because they will turn 18 before the November general election. And, in general, Scalzitti noted, the Clerk's office does "a heckuva lot of outreach (voter registration events) at suburban highs schools and colleges both in the suburbs and city." Meanwhile, according to the Chicago Board of Elections, "we will continue to have more and more inclusive (and up to date and accurate) voter rolls as the Automatic Voter Registration legislation takes hold." The reference is to Public Act 100-0464. A key component of the AVR legislation is new §1A-16.1 of the Election Code, which provides that every application for issuance or renewal of a driver's license (other than the temporary visitor's driver's license issued to undocumented aliens) will also serve as a voter registration application. In order to evade registration under this system, a driver's license applicant would have to specifically decline to register to vote. These provisions of the AVR legislation will not come into effect until Illinois has met the requirements of the federal REAL ID Act of 2005. (The State of Illinois currently has an extension to comply until October 10, 2018.) And, of course, Illinois driver's licenses that are compliant with the REAL ID Act can only be issued to lawful citizens. Meanwhile, according to the CBOE, "the portion of the law related to data updates has been in effect, meaning all of the jurisdictions are receiving more updates of records without the voters having to take any action." The CBOE cites two long-term goals for AVR -- to "update records and send voters their new voter card and polling place information more seamlessly" and to "expand the voter rolls to include a greater share of all eligible voters." The net result, curiously enough, according to the CBOE, "could be higher turnouts in terms of raw numbers of voters casting ballots, but lower 'turnout rates' because achieving, for example, 70% turnout will now require that many more voters to come out." In sum, then, increased registration efforts have led to increased voter registration, even as the population declines. With the AVR legislation, the numbers of registered voters should increase further still, even if the population decline is not reversed. FWIW has learned that Illinois Appellate Court Justice John B. Simon has submitted his resignation from the bench, effective May 1. The Illinois Supreme Court appointed Simon, a longtime partner at Chicago's Jenner & Block, to the Appellate Court in 2012. He was elected to the Appellate Court in 2014. 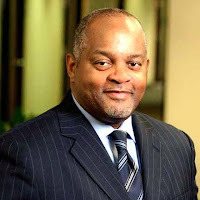 Licensed as an attorney in Illinois since 1967, Simon began his legal career as an Assistant U.S. Attorney, rising to Chief of the Civil Division of that office in the early 1970s. 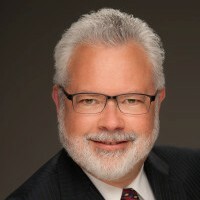 After leaving the U.S. Attorney's office, Simon joined Friedman & Koven as a partner before moving to Jenner in the mid-1980s. Simon is a former President of the Chicago Bar Association and, later, of the Lawyer's Trust Fund of Illinois. Among Justice Simon's many other contributions to the bench and bar is his long service as a member of the Supreme Court's Rules Committee (2004-2012, serving as Chair from 2010-2012).